The series I (2017-2018) of Sovereign Gold Bond scheme is open for subscription from 24th - 28th April,2017. 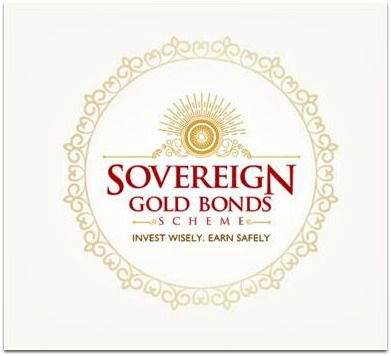 Sovereign Gold Bonds are Government securities denominated in multiples of gram(s) of gold. They are substitute for investment in physical gold. To buy the bond, investor has to pay the issue price in cash to an authorised SEBI Broker. On redemption, cash is deposited into the investor's registered bank account. These Bonds are issued by the Reserve Bank of India on behalf of the Government of India and are traded on stock exchange. Capital gain tax arising on redemption of SGB to an individual has been exempted. The indexation benefit will be provided to LTCG arising to any person on transfer of bonds. The department of revenue has said that they will consider indexation benefit if bond is transferred before maturity and complete capital gains tax exemption at the time of redemption. Sovereign Gold Bonds will be issued on payment of rupees and denominated in grams of gold. Minimum investment in the bond shall be 1 grams. The bonds can be bought by Indian residents or entities and is capped at 500 grams.